This post originally appeared as a guest post on From ABCs to ACTs.. Please check out their fantastic site to read about learning through play, creativity and imagination. I am currently working with my 4 year old son to help him write his name. You may remember a few weeks ago, when he practiced writing his name on a Dr. Seuss hat. 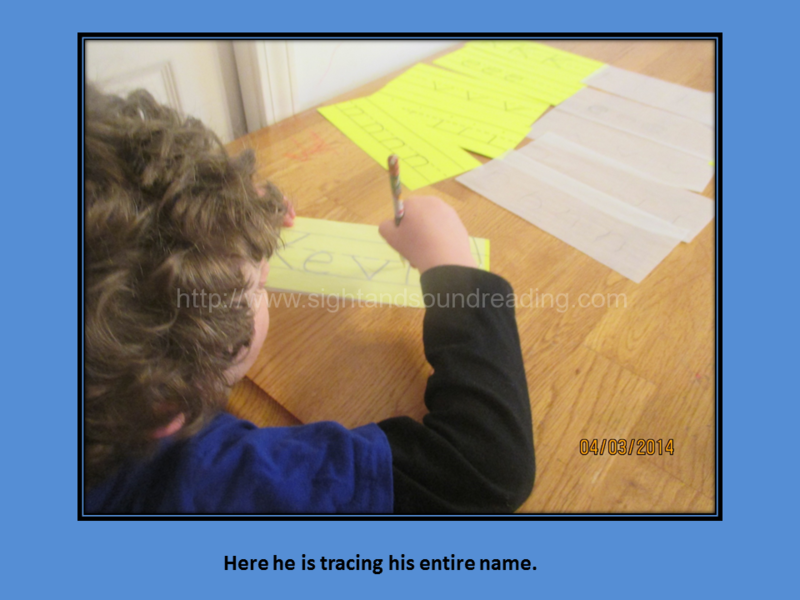 In this post I will show you another activity you can do to teach a child to write their name. First and foremost, your child should be able to recognize all the upper and lower case letters in the alphabet. It is also so important that your child understand that there is a difference between the upper and lower case letters. Upper case letters are really only used to begin a sentence, to begin someone’s name, and a few other minor instances. The majority of the letters that children will read are lower case letters. So – rule #1 is to make sure your child can recognize the lower case letters. If you need help with teaching the alphabet, you can check out this video. The next step to teach a child to write their name is that we have to start out by having the child learn to grip a pencil correctly. Some children seem to be naturals at holding a pencil correctly, whereas others need a little bit more guidance. 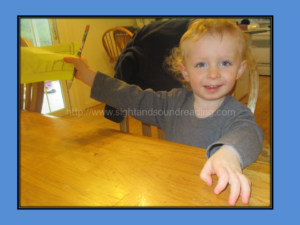 The child’s grip does not need to be perfect to start learning to write, but, we do believe it does help in learning to form letters correctly and quickly. The third skill to teach a child to write their name is your child should know how to spell his/her name. To help a child with this, I always find it helpful to make up a song or cheer or jingle that is catchy and the child likes to chant. For instance, for the name Kevin, you may chant K-E-V-I-N, Kevin, Kevin, he’s my friend! You can also sing his name to “Old MacDonald” substituting BINGO for KEVIN. After the child knows how to grip a pencil correctly, and knows that capital letters are used only for the first letter of his/her name, and, the child knows how to spell his/her name, you are ready to begin to teach your child to write their name! I usually begin by cutting strips of sturdy card stock or poster board -to be a few inches high by about 6-9 inches long. I then write guide lines on sturdy card stock or poster board, and then add the letters from the child’s name written on the lines. I usually write both the individual letters on guide lines, as well as writing the child’s first name on guide lines. 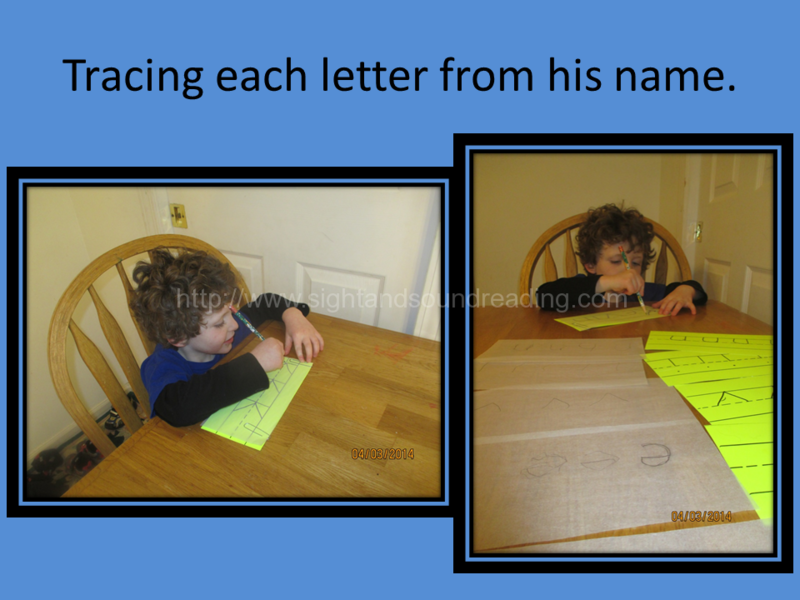 I make the letters and the name fairly large so that the child can practice his/her name fairly easily. Next, I use tracing paper and paper clips to clip the tracing paper to the poster board. I have the child trace over his/her name. 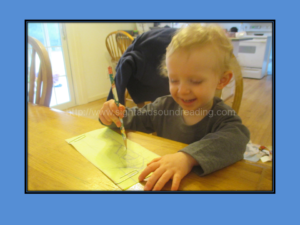 I frequently remind the child that when writing letters, you start at the top of the guide lines and pull down and around. I watch to make sure the child always starts a letter at the top and guide the child so that he/she is learning to form the letters correctly while using the tracing paper. Here is a picture of my son tracing the letters of his name on sturdy card stock with tracing paper ‘paper clipped’ to the top of it. Once the child has mastered using the tracing paper, I have the child practice writing his/her name by just looking at the letters. (This was done in the Dr. Seuss post). 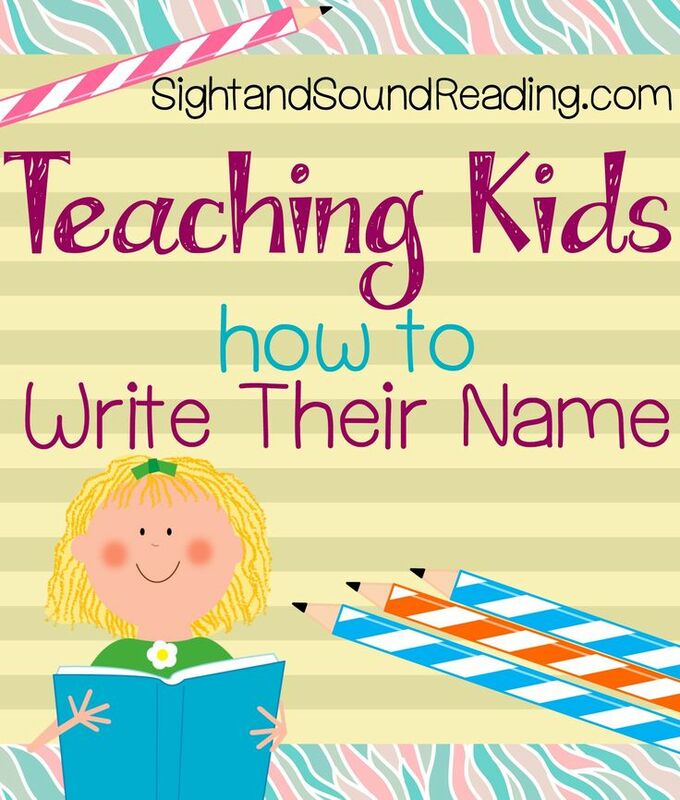 Another thing you can do is to incompletely write your child’s name, and have your child ‘fill in the blank’ with the missing letters. 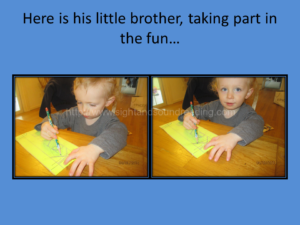 Anyway…here are a few pictures of my 2 year old wanting to write his name as well….First he was serious. Then, he noticed I was watching him…. Hey, wait -this is sort of fun! Look Mommy, I did it! I wrote (my brother’s) name! This is great, thank you! You know, I always wondered, why do they have kids start at the top when they make letters? For example, when I make a capital letter A, I have always started from the bottom and went up and back down. Now they have kids start at the top, go down, and go back to the top again. I have always been curious as to why. Good question… I am going to research and ask Mrs. Karle if she has any insight…maybe I will write a blog post about it! Letter formation in printing begins at the top to make the transition to cursive easier. Most (not all) cursive letters begin at the top. Also, the pull stroke from the top is generally easier than the push stroke coming from the bottom. Yes, excellent point! Thank you for adding to start at the top and pull down. So important to learn to write correctly so that you can transition to cursive more easily later. We’ve been working with my three year old on writing his name. He knows how to spell it and recognizes all the letters in the alphabet so now it’s a matter of him being able to write his letters. So far he’s got the first two! Thanks for the tips! My daughter needs to help her little ones write their names. Found you from SITS! Yay! So glad you found us! Hope your daughter finds us helpful! Please let us know if you have any questions, etc! This is really great! What age do you recommend starting this? We started using the app Letter School and it’s really helped too! I have a son who is 4.5. He is really starting to be ready and we just started him on it. He knows his letters, and he knows the letters have sounds..and it pretty good with the sounds of each letter. (BUT, that being said, to start the program, you do not need to know letters or sounds – they are taught throughout). 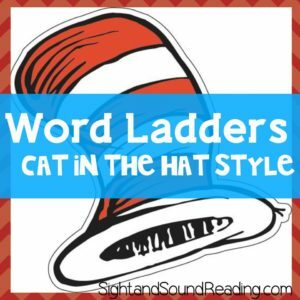 They are helpful to know because reading is easier when a child knows these things. My two daughters also used the program. One was ready at 4, the other was 5.5.. All children are different – When reading is ready to come easy, it will. With my four year old, I don’t do it every day. I do it when he is eager/ready to do it, and he will succeed. So… we did day 1 and 2, and every night he reads those to me so I know he remembers them. When he seems like he can concentrate long enough, I will do day 3 with him. Hope this helps! Thanks for sharing this! My oldest is 5 now, but we started teaching him at about 3.5, he did really well with it. 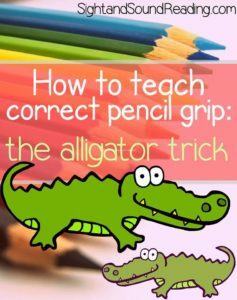 I love the alligator trick to help children maintain a correct grasp with writing activities. Another trick that I like to use(with special needs preschool children) is to place either a small pom pom, penny, paper clip or small bead in the child’s palm and have them hold it with their pinky and ring finger (telling the child to hide the treasure by holding onto it tight. Now they only have two fingers and thumb (tripod grasp) to hold the pencil or crayon while writing or coloring. Aww, great idea too! Thanks for sharing! Thanks for the tips. My boys are probably still to young, but i’l remember these when we get there. Best of luck! Thanks for stopping by!